To date, this column has always focussed on design for adults, be it the visual communications us adults consume, the furniture we sit on, the lights we read under or the events we attend. But it's not just the older and taller members of society that use design, and with the recent Children's Books Ireland (CBI) conference in Light House Cinema, it seemed apt to take a closer look at design for children. In fact, when we consider the importance we place on instilling a love of reading, or sport, or music, or nature at a young age, should we not be doing the same with well-considered, attractive design too? In recent years we've seen real growth in Irish design, both in terms of production and presentation: we're making more of it, we're improving its quality, and we're discussing and disseminating it much more too. This is not exclusive to design for adults: we're also producing more for children, both in terms of quality and selection. CBI's events and publications of the past number of years having been shining a light on the wide variety of beautiful children's picture books being written and illustrated here in Ireland. The international success of Belfast-born Oliver Jeffers is just one example of the talent we have here in this field: here in Ireland we have many writers and illustrators producing fine work for younger readers. Following his successful Mr. Peek and the Misunderstanding at the Zoo in 2010, Irish-born Kevin Waldron has written and illustrated Pandamonium at Peek Zoo, returning to his underprepared and overly confused protagonist as he scrambles to prepare an animal parade at the zoo. The first of Mr. Peek's escapades won a Bologna Ragazzi award in 2009, and this newest instalment has just been published by Templar. Though not a native of Ireland, Dublin-based illustrator Steve Simpson is illustrating more and more Irish language children's books. 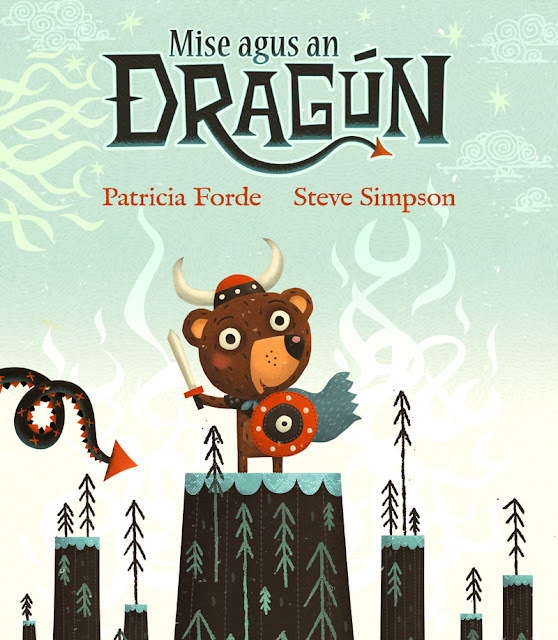 One such book is 2012's Mise agus an Dragún (pictured above), a story of a fearless boy (played by a bear) who hunts a fearsome dragon (played by himself), written by Patricia Forde, published by Futa Fata and proving that good illustration is important no matter what the language. When you think about objects made just for children, the first things you're likely to think of are toys. Though we may not be the people to have invented LEGO (Denmark beats the rest of us to the punch, as is often the case in design terms…) there are a number of people in Ireland designing simple but beautiful toys for children, often with locally-sourced materials or a sensitivity to traditional craft processes. While much of the stock including in online design shop Makers & Brothers is by designers and craftspeople all over Ireland and beyond, the Brothers behind the initiative have been producing more and more of their own items too. 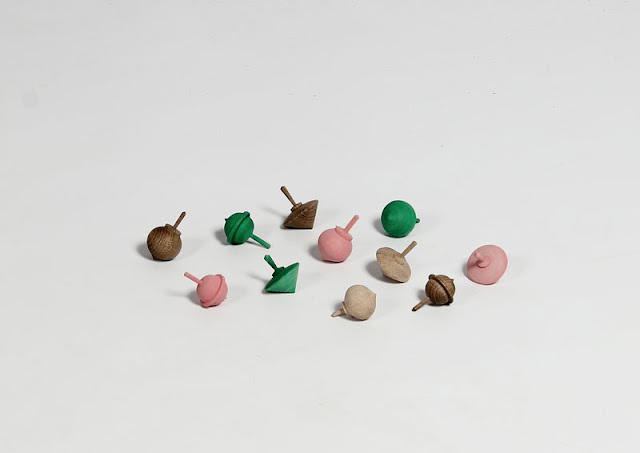 One of their first such products was a simple spinning top, made from wood in a variety of appealing shapes. In fact, they were so appealing that they quickly sold out, but now the spinning tops are back, and available in a range of colours, shapes and sizes (above). 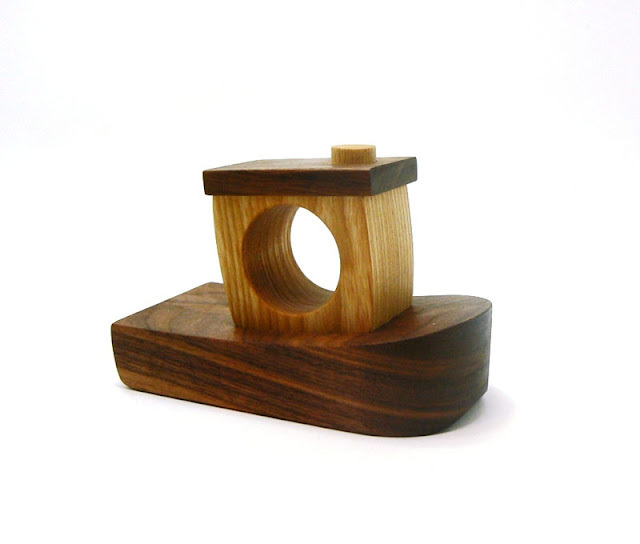 Makers & Brothers also stock the work of Mark Heaney, otherwise known as Craftwoods (pictured below). Made from a variety of hardwoods, Craftwoods' boats and cars contrast light and dark woods and feature different grains and textures. They're chunky, durable and ideal for youngsters. There's also a move towards including traditional materials and processes when making childrens' wearables, led by companies such as 31 Chapel Lane and Si+Lu. 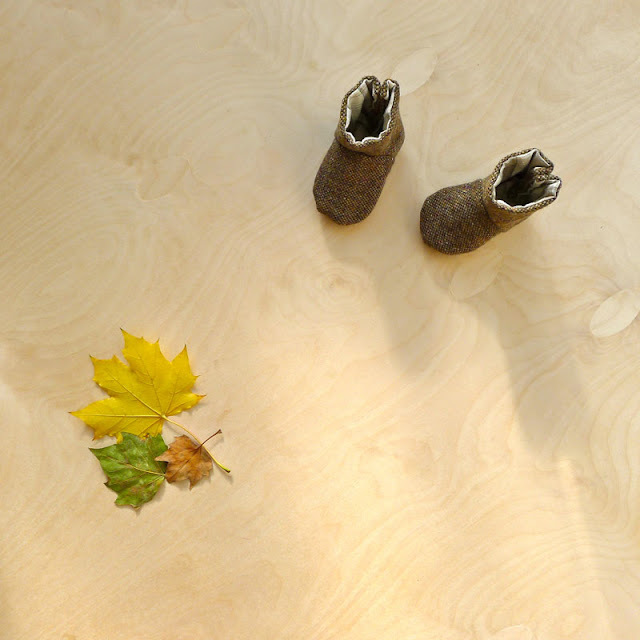 Linen producers 31 Chapel Lane have included in their range of clothing and homewares a beautiful pair of baby's boots (below). Designed by Vance Coleman, these boots combine beautifully flecked Donegal tweed with 31 Chapel Lane's signature linen as lining. 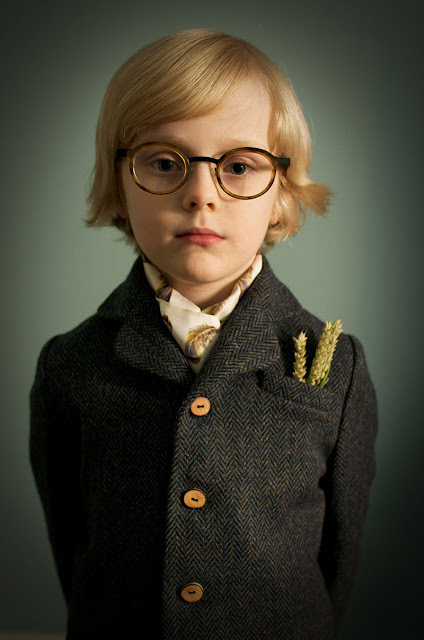 Meanwhile, Dublin-based studio Si+Lu bring together traditional making techniques and a classic aesthetic, employing knitters and seamstresses all over the country to handmake their stylish range of children's clothes. Items such as Si+Lu's suits (pictured at the bottom) and dresses and 31 Chapel Lane's boots are made to last, and items such as these and Craftwoods' hardwood toys are meant to be used over and over, and hopefully passed on from one growing child to the next. The argument for universal design or design for all tends to centre on design for those with limited mobility or impaired senses. Gradually the design community and the wider public understand that when designing communications, objects or spaces we need to think of anyone who may experience reduced mobility (through permanent disability or a temporary ailment), those laden down with bags or luggage, or those of us who will inevitably age. But why not widen the concept of 'design for all' to the youngest in society, providing them with thoughtful solutions for their daily activities, the objects that they will love, the books that they read or the clothes that they wear? Judging by some of the work by Irish designers, we're well on our way to designing good quality solutions for everyone from old to young, hopefully instilling a sense of value and regard for design from as young an age as possible.